I am Emeritus Professor in the School of Mathematics and Statistics at the Victoria University of Wellington, New Zealand. Here is my academic whakapapa. And here are some pages about Logic at VUW. - model theory of intensional logics (modal logic, logic of programs, admissible semantics of quantifiers). 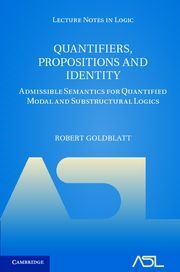 - algebraic logic (duality for varieties of logical algebras, coalgebras, categorical logic). Coordinating Editor of The Journal of Symbolic Logic. Managing Editor of Studia Logica. New Zealand Journal of Mathematics. Executive Committee and Council member of the Association for Symbolic Logic. Fellow and Councillor of the Royal Society of New Zealand. President and Honorary Life Member of the New Zealand Mathematical Society. Member of the Marsden Fund Council. NZ representative to the International Mathematical Union.